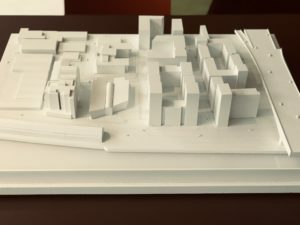 As the move to bring back city-centre living continues to grow, we have launched new proposals for residential accommodation in Hydepark Street, Glasgow. 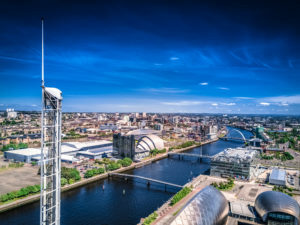 People Make Glasgow is the strapline and, with a rise in numbers living in the city in the last few years, more and more people are choosing to move back to our cities; choosing city-centre living to live, work and play. Our proposed residential accommodation at Hydepark will attract and retain the next generation of city dwellers. Located in a city with three universities, the University of Glasgow, Strathclyde University and Glasgow Caledonian University, we know there is a wealth of talent looking to stay and work in the city. And with the rise in demand, so is the need for more living spaces. Our proposals are to transform commercial office space into residential accommodation for the rental market. A new generation of city dwellers choosing to co-work and co-live. This is not a new concept in many cities but one that Glasgow is yet to fully embrace. We all know it’s better and more economical to co-share driving and working, so why not living? Co-living is what we’ve all done our whole lives since we were born, so why not now. Our residences will have co-facilities to cut down on bills and allow you to do the best part, living. Located next to the city’s Financial District, the River Clyde and the vibrant music scene at the SSE Hydro, the area is undergoing a revival and now is an excellent opportunity for city-centre living in our Hydepark location.